Patrol Sergeant Eddie Dilbeck was recognized for his dedicated service to the Morristown Police Department’s Special Response Team (SRT) at their December training; he served on the team for more than 18 years. Sergeant Dilbeck has more than 21 years of service in Law Enforcement; he has been with the Morristown Police Department since October 14, 1996. He was promoted to Corporal in October 2013 and then promoted to Sergeant in July 2014. Dilbeck has served on various teams throughout his career, as well as being a School Resource and D.A.R.E. Officer. 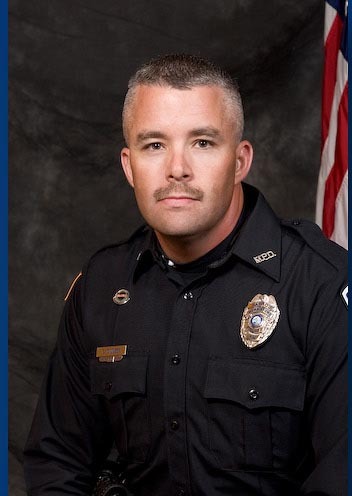 He is currently on the Traffic Crash Investigation Team and is one of the MPD’s Firearm Instructors.